These last few weeks we’ve seen the relatively new Abbott Government backflip on a few pre-election ‘promises’ – that is when they’re actually releasing information – including our budget “emergency” and promises of a no-surprises, transparent government. Now it seems the latest to be broken is Tony Abbott’s pre-election promise when he said there was “no difference” between he and Kevin Rudd on the issue of school funding. 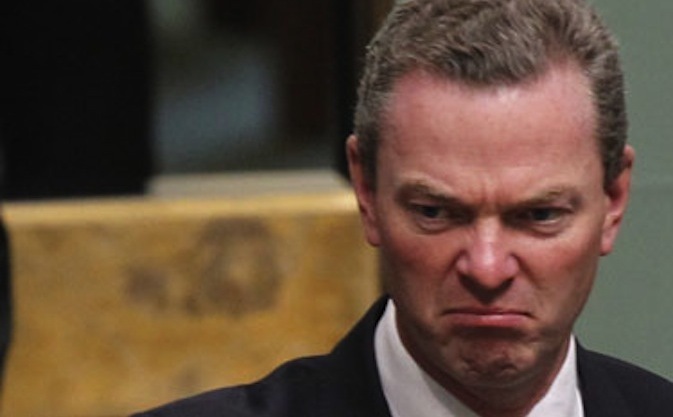 Education Minister Christopher Pyne has declared war on the Gonski funding model implemented by the Julia Gillard-led Labor government, describing it in the media as “a complete shambles” and “an incomprehensible mess”. If the government is planning drastic changes, as has been reported, they’re in for a fight. The state premiers who signed the deal negotiated by previous Labor government will fight to ensure the government honours the binding funding agreements. NSW Premier Barry O’Farrell has blasted the Coalition government, suggesting the issue of school finding had been handled poorly, and called for the government to stop behaving like an opposition, and “to pick up the phone and explain what the hell is going on”. Depsite what she describes as “some mistakes” in the Gonski reforms, Greens Senator Penny Wright is vowing to use numbers fight legislation changes in the Senate. Perhaps most tellingly for the Abbott government is the public reaction. The twitterverse is brimming with outrage in light of Minister Pyne’s suggestions that the funding reforms needed to go “back to the drawing board”. And whether Mr Abbott wants to comment on the polls, he might want to give them a bit of notice because it seems the voting public are not amused. Recent polls (conducted before news of the funding changes broke) suggest voters now prefer a Labor-led government—52-48 two-party preferred—representing a post-election swing towards Labor of about 6 percentage points. Sure, the results are not catastrophic for his leadership at this stage, coming off the back of the election, but Mr Abbott would be wise to take care. He could be one more broken promise closer to a one-term reign. Funny that the Coalition is making the same mistake that the Labor Party made over the Carbon Tax – I think people will forget ‘tiny’ broken promises, but they will never forgive the big ones!